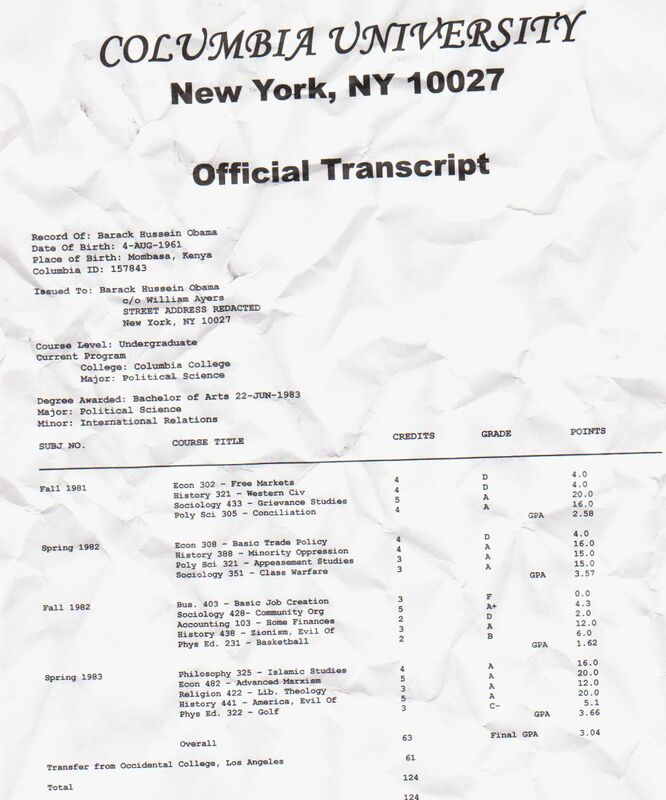 Obama’s College Transcript Finally Revealed! I suppose I should explicitly say that this is a joke, though it’s understandable that some folks might think it’s real, given the nonsense that is sometimes taught at Ivy League colleges. That is so racist. Whenever you say anything about the president, you are clearly a racist. So true.You did forget one course-“THEATER”- he is the first male prima dona. What mean spirits. Crude. Funny? How? wait. He was born in Kenya? There’s a lot of interesting comedid material here!